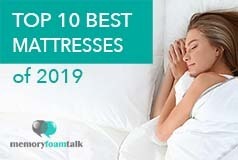 It’s tough enough to choose the best mattress to fit your lifestyle, health, and personal preferences – but it’s made even more confusing if you are clueless about the terminologies and descriptions used for different models. You would need to research these unknown terms which can be taxing and overwhelming. With the countless of options and many models out there – how do you choose which one suits your needs? And how do you understand what the different options or types of mattresses are? If you want to buy a mattress, you should read this glossary. It will help you make the right decision and choose the right mattress firm, based on your needs and preferences. It would be the best idea to choose a company with good trial period and great return policies so that you can return the mattress if it doesn’t meet your expectations. 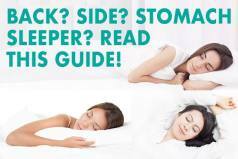 With this list of common terminologies we put together we hope to help you sort through the multitude of options with confidence by helping you understand the terms used in the mattress world today. If in case you have something to add to this list or you have more questions in mind, please contact us the contact form. Adjustable Bed Frame: Commonly referred as adjustable base, this allows you to customize and adjust your mattress so you can easily move to different angles and find the most comfortable sweet spot or sleeping position that will help you sleep optimally. Antimicrobial: This is treatment applied onto the fabric material of the mattress to help prevent and get rid of pathogens, microorganism, and dust mites that could wreak havoc and pose health risks. Avena Foam: This is a patented foam which is 100% recyclable and said to have the same support, bounce, responsiveness, and comfort with latex but with a longer lifespan than the latter. Batting: This pertains to the wool, cotton, or synthetic fiber and material inserted in sheets or batts which are used as filling for bed covers and quilts. Body Impression: The indentations a body makes on a mattress over time. Impressions do not bounce back after a sleeper is off of the mattress. Body impressions should not be deeper than 1 1/2 inches. Border Wires: Also referred to as border rods, this is mostly used to support the innerspring coils and helps your bed or mattress to maintain and retain its original shape over the years. Bounce: This refers to the amount of push-back or responsiveness a mattress has when it interacts with body or how it pushes back on pressure. Mattresses with a high degree of bounce, such as coil models, strongly transfer energy back. Models with low bounce, like memory foam mattresses, absorb energy rather than pushing back. Box springs: This is a framed bed base that consists of vertical steel springs covered with cloth which is usually placed under the mattresses to provide support. Some beds require the use of box springs except daybeds or bunk beds. This acts as the base and is usually the same size as the mattress. Bunkie Board: This refers to a thin plywood or board tapered with light upholstery which is typically used as a platform to elevate the bed. It is also a popular alternative to using thicker box springs. Also spelled as “bunky board”, this is commonly used in platform beds that can fit all bed sizes from King, Queen, to Twin-sized. Coil: This refers to the steel wire springs found under the mattress which provide support and even distribution of body weight. This provides the bounce, resistance, and push-back when your body touches its surface. Coil count varies from one brand to another. It is important to note that coil count does not equate with having superior quality mattresses. Each manufacturer has different standards when it comes to coil count. Comfort: How hard or soft a specific model feels when you touch its surface. This is an objective term and can also include overall comfort including firmness, conformability, support, and motion separation. Contoured Mattress: This type provides the contour or conforms to the curves of your body. Its thick cores provide relief of pressure points and gels with the movement of your body as it becomes soft at the areas that you need it and firm exactly where you want it. Double Ended Frame: A bed frame that can use both a headboard as well as a footboard. Dual Purpose Bed: As the name itself suggests, this is a type of bed that can be multipurpose or has an additional purpose or function aside from sleeping. This would usually include sofa beds and daybeds. Durability: This is related to how your mattress can weather the years or withstand prolonged wear and tear. The amount of time it can be expected to last with adequate support and comfort. Edge Guard: Is an extra protective layer that you need especially if you have kids around. This refers to a wire support system or foam padding which is placed on the border to provide extensive edge support. You can determine if your mattress has a built-in edge guard by sitting at its edge. Check if it holds its shape or gets saggy. If it holds its firm shape, then it definitely has an edge guard in it. Edge Support: The degree to which a mattress supports lying or sitting on the edge. Mattresses with poor edge support will sink down when sitting on the edge or cause you to “roll off” the edges if they collapse under your weight. Some all foam mattresses or those using cheaper or less dense foam will have poor edge support. Euro-style Pillow Top – If you want it tall and extra plush, then this should be your top pick. This is similar to the traditional pillow top in terms of the softness and durability. A Euro-style pillow top provides sleepers an extra thin layer soft material which is stuffed right under the top cover of the mattress. What differentiates this from the traditional pillow top model is that it has a secondary casing stitched on top. Euro-style pillow toppers usually include the cover with pillow stuffing which provides both the comfort and aesthetic boost you need in a topper. Firmness: The softness or hardness of a mattress when you touch it. It pertains to the overall feel of the mattress under your body. Firmness is an important factor in choosing the right model. 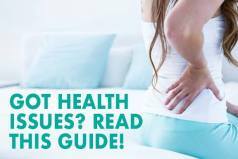 Note that firmness and support are not the same, as support refers to how well a mattress keeps your spine aligned whether you’re on a soft or firm model. Foundation: This pertains to the bed base or supportive structure found under a mattress. This may particularly refer to box spring, slatted base, platform, or another type of foundation. Futon: A thin mattress and frame designed for dual use as a bed and seating area. Futon mattresses are constructed of filling (usually cotton or foam) and a cover, sometimes with inner springs. Frame: This refers to the bed frame. For mattresses, a frame is a wooden box on top of the deck and pedestal that contains it. Free Flow: A waterbed with a single chambered bladder. This type of bed will allow the water to flow freely without fiber filling or motion dampening. Hard Sided Waterbed: Type of waterbed with an unstructured bladder inside a wooden foundation used to hold the mattress in shape. The traditional waterbed design. Hug: This refers to how well a model contours or conforms to the curves of your body. A model that contours and allows the sleeper to sink into it has a high level of hug. One that forces a sleeper to float on the surface layer has little hug. Hybrid Mattress – this type is a combination of different materials to such as innerspring coils, latex, memory foam, or other materials. This aims to maximize the benefits of these varied materials combined and also to reduce its negative effects. These utilize the layer cake approach in which a model is composed of a variety of foam slices from different materials such as polyfoam, patented foam, support foam, pocketed coils, pillow tops, traditional springs, memory foam, and latex foam. Hydraulic Waterbed: A type of waterbed with a bladder divided into multiple compartments. Water travels between the compartments through small holes. Innerspring Mattress: This type is made of tempered coil springs at the core surrounded by layers of upholstery. This is the most common mattress on the market today with a wide variety of firmness levels. Innerspring mattresses can be Bonnell, offset, continuous coil, or pocket coil. Luxury Mattress: A mattress designation that is subjective. Typically refers to models sold for $2,000 or more with high quality or specialized materials, special manufacturing processes, customization, or extra features. Mattress Topper: This removable bedding or topper is added on top of the mattress to beef up or provide just the right amount of resistance especially if you have a firm model. You can easily customize your bed if you want a firmer or softer base when sleeping. Toppers often have cooling and heating capabilities depending on the brand. It can also be made of memory foam, egg crate material, or feathers. Memory Foam Gel: It has an intuitive design that helps regulate body temperature while you sleep so you can sleep cool and comfortable all day and/or night. Gel-infused memory foams are able to adjust to the changing needs of the body. It increases the density of your mattress while the cooling gel beads wick away heat and are also made durable for long-term use. Memory Foam Mattress: This is the most popular and common type of foam mattresses in the market. It’s a huge favorite because of it provides pressure relief, bounce, and excellent support. This visco-elastic polyurethane foam does not have springs in it, which allows comfortable sleep. It provides good push-back and has great motion isolation features. These used to have problems in terms of responsiveness and heat retention but those issues are now resolved especially with the newer models that are out in the market. Murphy Bed: If you are a minimalist type of person and live in a small finite space, you can widen up your room by adding this bed. This type of bed can be hurled in anywhere and can fit even small beds. You can easily fold this and stored in cabinets or walls so you have plenty of floor space during daytime. Natural Latex – Anything raw and organic is good for the health and body. Natural latex is made out of a rubber tree sap or rubber serum. Its sap is gradually harvested and then manufactured to produce latex foam. This is made hypoallergenic, eco-friendly, and free from harmful toxins. This natural foam rubber is very versatile and can be customized to your desired firmness and support levels. No Flip Mattress: Mattresses that do not need to be flipped to reduce sagging or maintain support. Organic Mattress: Made with organic natural materials produced without the use of pesticides, antibiotics, or synthetic fertilizers. Mattresses as a whole cannot be certified organic, but mattress materials can be. Pedestal: A part of the platform foundation for hard sided waterbeds. This box forms the base and, along with the deck, evenly distributes the weight. Pillow Top: This provides an additional layer of padding on top of your mattress for added comfort and back support. This also provides a soft surface for you to sleep on with the plush material sewn on the top cover. Platform Bed: This is a modern type of bed that is usually positioned low on the floor but can be elevated with the use of a bunkie board without using box springs. You can also use the area underneath the bed as a storage area for shoes, books, or even toys. Plush Top: If you want something medium or in between the pillow top and firm mattress then this is the perfect fit. It has a very supportive base and a soft and comfortable top which provides that good balance needed for slack time. Pressure points: Parts of the body where pressure from a sleeping surface restricts blood flow. This is usually felt when the mattress is too soft or lacks firmness and support. Further, this can cause discomfort, pain, and trouble sleeping. Queen Size: A mattress that measures 80″ x 60″ usually. Recovery Time: The amount of time foam takes to recover back to its original shape after compression. Responsiveness: The speed with which a mattress adjusts to pressure changes, typically in foam mattresses. A responsive model quickly changes to pressure and sleeping position changes, but one with a slow response time takes longer to change its shape. Newer memory foams typically have better responsiveness than older ones. This is also known as resiliency. Talalay Latex – Talalay is hypoallergenic, hygienic, breathable, and provides even cushioning. This also features more consistent support and feel from top to bottom. This flash-frozen latex is usually baked which completes its manufacturing process. It provides a good amount of hug and responsiveness. Tight Top: A mattress with a traditional quilted surface but without a pillow top. Trundle Bed: It looks like a daybed but it’s not. If you want a modern and ultra-stylish and functional bed – then this should be on top of your list. It is very space-efficient because it features two beds that are stacked right on top of each other. The bottom bed can also be extended to a much larger bed that can squeeze more people in it. This also has wheels so you can easily move the bed around especially for small bedrooms. This is great for kids and also for teens who would always host slumber parties. It’s also perfect as a guest bed for welcoming out-of-town guests. Sagging: This pertains to the condition of a mattress that has lost support or is old, barren, and worn-out due to many years of use. Self-Inflating: An airbed mattress that can inflate itself using foam that expands as air enters it. Smooth Top: A model without a quilted cover. Semi-Waveless: A type of waterbed with fiber filling in the bladder. This filling significantly reduces the motion of the waterbed. Soft Sided Waterbed: A type of waterbed with foam or upholstery surrounding the bladder. Softside waterbeds look similar to innerspring mattresses. Spring Mattress: See Innerspring Mattress. Support: Spine alignment is one of the factors or quality that you need to look out for when shopping for mattresses. The ability of a bed to keep your spine aligned during sleep is certainly a plus point. Good support eliminates mattress-related pain and stiffness. Do note that support and firmness are not the same. Supportive mattresses offer spinal alignment without pressure points. Support Foam – This is a basic type of foam that is mostly used as the base or foundation. This is also used in the construction of some hybrid mattresses. Synthetic Latex – This is regarded to be the most common type of latex. There are different types of latex but the most popular variety is the SBR (styrene butadiene rubber) which is used in the manufacture of synthetic latex foam. This has the composition and features of natural latex but could be a mix of natural and synthetic latex at a certain percentage. This is said to be unhealthy and carcinogenic for users. Ultra Luxury Mattress: A step above luxury mattresses, ultra luxury mattresses typically retail for $5,000 or higher and feature customization, high-end materials, handcrafted processes, and special features. Ultra Waveless: A type of waterbed with significant fiber filling in the bladder. This filling reduces the motion of the water to nearly nonexistent, with almost no movement of water. Wall Hugger: An adjustable bed that keeps its alignment along bedside tables even when the position is adjusted. Wall hugger beds shift the bed backward or forward as it is elevated or lowered. Waterbed: This is a luxury type of bed that makes use of water for support instead of coils or foam. waterbeds are available in hard sided and soft sided versions. They offer adjustable support and can often relieve pressure. Whisper Quiet: A term used to describe beds or mattresses that have a quiet or whisper-like operation. This is a feature that is seen typically airbeds, waterbeds, or adjustable beds with sound dampening housing for motors or pumps. This Ultimate Mattress Shopping Glossary hopefully will help you familiarize yourself with the different terminologies and jargons when shopping for a mattress. It should help you find the model that will change your sleeping habits and routine for the better.